With 200 HP it needs to be a good card. 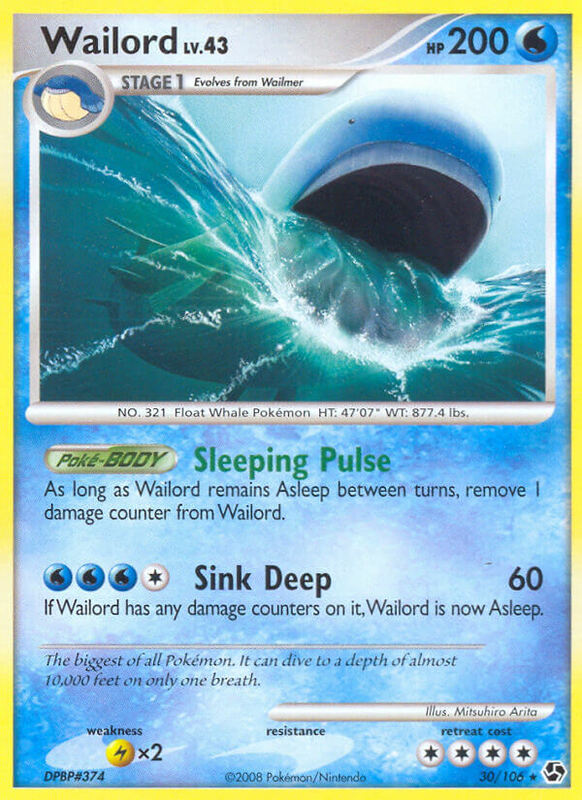 Then say hello to Wailord ex. 250, I was not too far off! Why does this thing need sleep healing turns? It has 200 HP, it’s not like many Pokémon can 3-hit KO it.